Television has advanced at a phenomenal rate since its debut, and no one could argue that it failed to live up to its promise of “bring the world right at your living room”. Many of us have been lucky to experience the marvel and awe of 3D television sets and the jaw-dropping clarity of 1080p full HD television sets. You would be forgiven to imagine that television can hardly become any better. Yet, here we are in the year 2014, and television sets have managed to outdo themselves yet again: yes, I am talking about the baffling, wonder-some 4K technology that has been attracting the most attention at CES 2014. 4K is just one the names to mark the latest television technology; other “less catchy” tags include UHD (Ultra High Definition), 4K UHD or OLED UHD (Organic Light Emitting Diode). The “4K” signifies the fact that these television set will offer four times the picture resolution of 1080p full HD television sets, or eight million pixels as opposed to two million pixels. This translates to even finer details, greater texture, sharper lines and almost photographic emulsion of smoothness. It would essentially seem almost exactly like peering out of a window and seeing things in real life, with your naked eye – the quality is THAT good! Behold, the behemoth, the 120” self proclaimed “BEST TV SET AROUND”! With an outrageous size and statement, would you care to guess if they live up to their own standards? They do, as a matter of fact. Vizio has bested their competitors by offering full array color dimming and a much wider color range than others. This means a more clearer and colorful output than others. This set comes in LED or LCD, has no curves or any bendy functions, and simply delivers in performance and output. Even better, they claim that they are working towards offering TV sets within an impossibly affordable, low priced range starting at only $999. Chinese manufacturers HiSense have unveiled their android powered TV set at CES 2014. 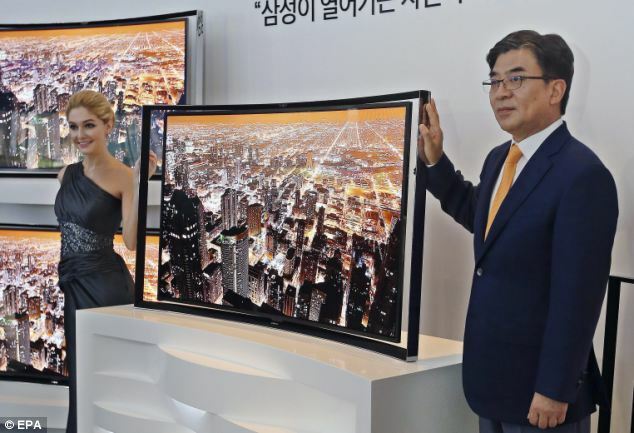 With sizes ranging from 50” to 85”, these smart TVs are scheduled to hit the shelves during the third quarter of 2014. Among other spectacular features, HiSense is offering access to Netflix, HBO, Amazon instant video, and also Roku, arguably the best set-top around. I admit, this isn’t a television set, but it makes its way into the list due to its sheer innovation and quality. Remember how troublesome projectors are? You have to set it up in a particular manner, you cannot come in front of the projection point, etc. Sony has removed all these annoying features and added all the cool and flash you could think of. It sits as a piece of furniture, against the wall, and is capable of projecting in 4K and giving an astonishing 147” of display. No indication of price has been given, but it is safe to assume that tech of the future is sure to command a hefty price tag! From the 90's television to Ultra 4k! Wonder what awaits in the next 5 years! During the day time, Zaki Farhan is an accountant working for a local real estate company. Come nightfall, he equips himself with a mouse, a keyboard, a set of hungry eyes, and dives into the ever-changing world of technology and electronics, sharing any interesting and eye-catching information with fellow tech-enthusiasts.